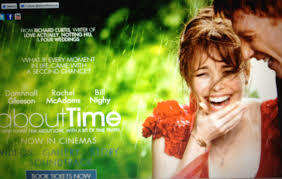 The tagline of Richard Curtis’ third film is: “A new funny film about love. With a bit of time travel.” It’s a rare tagline that is this devoid of puns, wordplay and cleverness, but it does sum it all up with incredible accuracy and insight. The guy that wrote and directed one of, if not the finest romantic comedy we’ve ever seen (Love Actually) has a new romantic comedy or funny film about love that relies on the gimmick of time travel to get his point across. With the unmitigated disaster (maybe harsh) that was Pirate Radio or The Boat That Rocked depending on where you live, (his last film was released in two separate versions for two separate continents with two separate titles and run times) this one could have gone either way. Bill Nighy (staring in his third Richard Curtis film) was chock-full of charm and wit perusal and Rachel McAdams (staring in her third film about time travel) embraced adorable effortlessly, yet again. It was Domhnall Gleeson, however who allowed this thing to be effective. The most likable person in a sea of likable people, Gleeson allows you to let go of thoughts about what you might do with the gift of time travel and experience it through his motivation. This was not an easy feat to achieve as fantasy got the better of my psyche in the first act as endless possibilities ran through my mind as to how I might use this transportive power. These digressional thoughts did not survive that first act as I bought in by the second and was instead transported into the world of Tim along with his desire to fall in love. Curtis didn’t lean on the gimmick, but instead used it as a tool to get us to reflect on our own life and how we live that life each day. So much finesse and subtlety strewn throughout that by the end you realize that it’s more about a son and his father than about a boy and a girl.There are things in this movie that I will think about 30 years from now. That’s really something. Same could be said about Love Actually. Some final thoughts; Many things I’ve heard and read about this film are less than flattering and this is confusing. Sure, we must let go of reality a bit to enjoy this one, but since when is that a detriment? If this film were a person they would be sweet, kind and thoughtful. The kind of person anyone could benefit from spending a couple hours with. Just a bit of time travel. Says so right there in the tagline. About Time is in fact a triple entendre and it’s the third reference that just might stick with you for a very long time if you let it. Posted on Wednesday, November 6th, 2013 at 4:03 am and is filed under Reviews.